In 2005 the freshly restored Dornier DO 24 flying boat made several takeoffs and landings directly in front of many spectators gathered on the Diessen lakeside promenade. Im Jahr 2005 startet und landet das frisch restaurierte Dornier DO 24 Wasserflugzeug mehrmals zur Begeisterung vieler Zuschauer direkt vor der Dießener Seepromenade. The newly restored Dornier Do 24 started its around the world trip with a spectacular visit to the lake of the Ammersee. The slide show captures the events which took place over several hours. The plane made 2 landings and take offs. Due to safety the plane landed very much in the centre of the lake and was escorted into the Diessen bay area by police boats and a small armada of other craft. This is an event that most surely will not happen again but these 82 images and the Black and White prints and Aluminium Dibonds capture the spirit of that day. Any prints from the slide show can be ordered in their original colour form. Contact me directly using my Contact Page should you like to order prints or have any questions. 1600mm x 500mm: €375.00 including wall fixings. 1400mm x 438mm: €325.00 including wall fixings. 1200mm x 375mm: €275.00 including wall fixings. 1000mm x 310mm: €195 including wall fixings. Post and Packaging is extra and will be calculated once the destination is known. 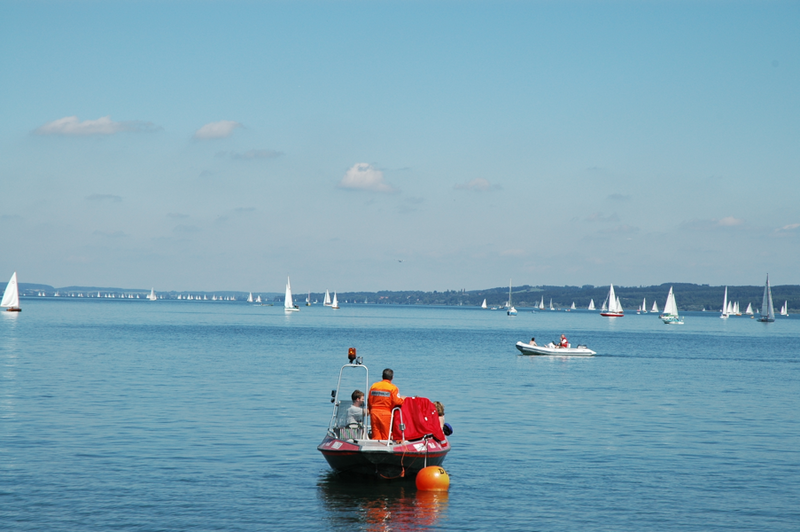 Ideally the print is collected in Diessen am Ammersee but can also be delivered in this area.